Sometimes the simplest tools are the most effective. This 2-piece pocket corkscrew from Fareast is the perfect addition to your table or bar service. The small, compact design allows this corkscrew wine opener to slide into any pocket for easy accessibility and quick service. 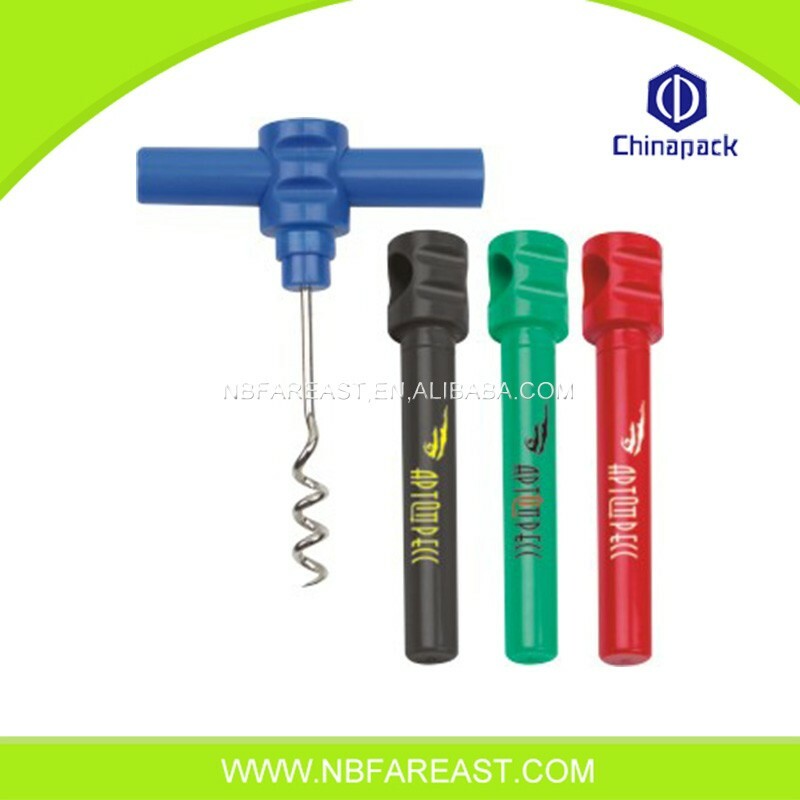 The 2-piece design includes a black plastic cover and the actual corkscrew. When removed, the cover can be inserted through the round opening in the corkscrew to create a handle and provide leverage when opening a bottle of wine.Our Service:We adhere to the service philosophy of [To respect and understand customers, to constantly offer the products and services beyond customer satisfaction, to be customer`s permanent companion".We should always focus on customers. After the transition from sellers market to buyers market, the consumption concept of customers changes dramatically. In face of masses of products (or services), the consumers put priority to the top-quality products(Wattle wooden batten ice wine bucket) (or services). Therefore, it is necessary for us to meet customers' requirements roundly and maximally. A. Carrying out research, design and service improvement in the position of customer (or consumer) instead of company. B. Improving service system, strengthening pre-sale, in-sale and after-sale services, and timely solving the problems occurring during use so as to bring convenience to customers. C. Paying special importance to customer opinion, and allowing customers to participate in decision-making, D. Establishing a customer-centered mechanism. According to customers` requirements, carrying out organization establishment and service process reform,and establishing a quick response mechanism for customer opinion. Looking for ideal Ed Wine Bottle Opener Manufacturer & supplier ? We have a wide selection at great prices to help you get creative. All the Plastic Corkscrew Red Wine are quality guaranteed. We are China Origin Factory of Red Wine Corkscrew. If you have any question, please feel free to contact us.